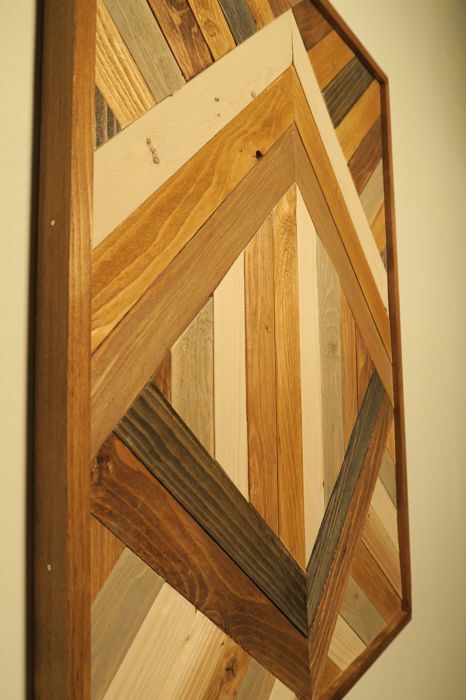 This wood work is made from stained pine glued to a plywood panel. 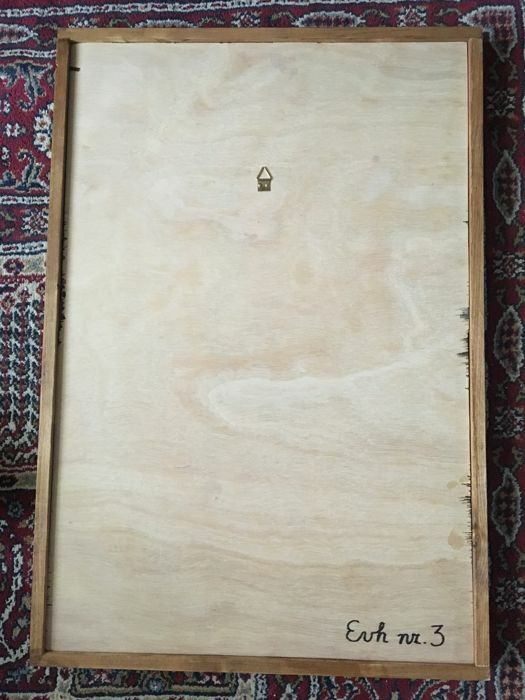 The frame is nailed around it and on the back is a painting hook. Wood is an organic material. 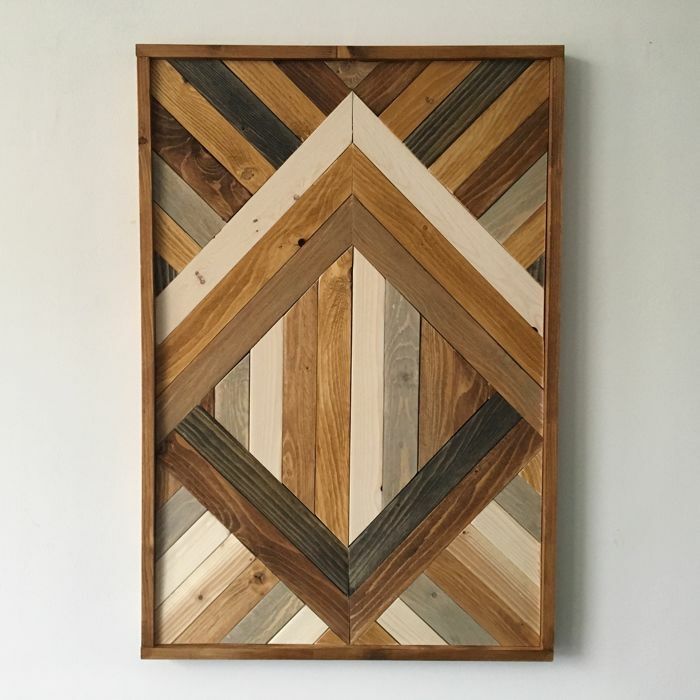 Every piece has its own drawing and shape, making it a fun puzzle to drop it all together. 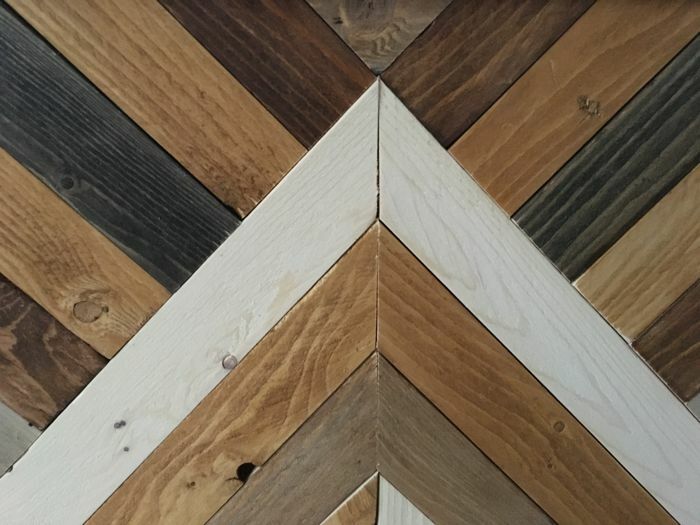 This makes each woodwork unique.